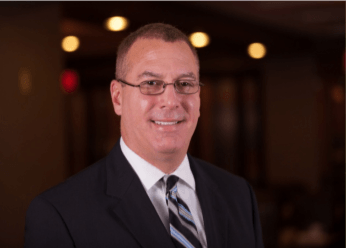 Bryan S. Slovon, Managing Partner and CEO of Stuart Financial Group, an independent financial planning firm exclusively serving retirees and soon-to be retirees in the DC Metro area. He is a financial planner specializing in retirement planning and wealth preservation to a select group of clients for over 27 years. Bryan has been helping families and retirees develop their own individualized retirement plans based upon the unique needs of those approaching this next phase of their lives. His mission is to help manage and preserve the wealth of his clients and their families, with whom he is dedicated to building life-long relationships of trust. Bryan has been featured in the Wall Street Journal, Kiplinger’s Personal Finance, Financial Planning, OnWallStreet, Investor’s Business Daily and other local and national media. He is a regular contributing author to Kiplinger.com. Click here to read Bryan’s most recent columns for Kiplinger. Bryan currently holds his securities Series 65 license, he is a Registered Financial Consultant® as well a Comprehensive Wealth Manager, offering investment advisory services through Global Financial Private Capital, LLC. Bryan is a fiduciary, he is legally bound to upholding the highest levels of fiduciary standards when providing investment advice to clients. He is a member in good standing of the National Ethics Association* and the Mid- Atlantic Region Better Business Bureau. Bryan is a native Washingtonian, he and his business partner and wife Lucy, live in Montgomery County, MD along with their dog Leo. His hobbies include hiking, personal development, charity work and traveling. He is committed to client satisfaction and upholding his fiduciary responsibility by always doing what is in his clients’ best interest.